HELENA – The main state budget bill at the Montana Legislature passed first reading last week with some surprises, like the restoration of $11.5 million in higher education funding and some expected cuts. But one area has consistently struggled to find funding throughout the entirety of the 65th Montana Legislative session — special education. Funded through a combination of federal dollars and state funds, special education has seen minimal increases in state funds, leaving local and federal dollars to pick up the slack, according to a report by the legislative school funding interim committee. Seven bills addressing special ed funding have been introduced by three different legislators this session. All but two of them have been tabled or killed. Only House Joint Resolution 1, which would request an interim study on the subject, has been signed into law. The bills deal with everything from providing inflationary increases to special education to allowing students with disabilities to remain in school until age 22. As with other programs that are facing cuts in a tight budget this session, the problem boils down to a lack of funding. Ballance is the chair of the House Appropriations Committee, which is in charge of reviewing and passing House Bill 2, the state’s budget. Rep. Tom Woods, D-Bozeman, proposed an amendment that would have written an inflationary increase for special ed funding of nearly 2 percent into the budget by fiscal year 2019. The amendment ultimately failed on a vote of 9-13. Ballance doesn’t deny there are issues with special education in the state. Representatives from both sides of the aisle have proposed funding measures for special needs students, but the philosophies differ. Funk sponsored House Bill 253, which would put special education funding in line with schools’ ANB funding, or “average number belonging.” ANB is the measure that determines the amount of funding schools receive based on number of students. Currently, special needs students receive funding separately from general education students. “I argued, this way we don’t have to come back each year and figure out how we’re going to pay for special ed,” Funk said. Supporters of the bill said HB 253 was necessary for the continued support of those programs. Eric Feaver, president of MEA-MFT, the teachers union, said legislators could have solved many of the problems befalling special education with HB 253. “You can make some of the rhetoric go away if you adopt this bill,” Feaver said during the hearing. However, Funk’s bill did not make it past first reading. A motion to “blast” the bill out of committee and onto the House floor also failed. Rep. Seth Berglee, R-Joliet, took a more individual-based approach with House Bill 423. The bill, the only other on special education that is still alive, would create a savings account program for special needs students, and would allow parents to take the amount of money allotted to their child by the state and use it for alternative special education programs. Berglee’s bill faced criticism for removing funds from existing special education programs. But he said he doesn’t see how it would detract from other students. He said finding “creative solutions” to the state’s special education problems won’t weaken the ability of other students to receive their allotted funding. 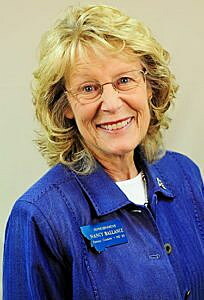 Rep. Kathy Kelker, D-Billings, took a different approach, attempting to provide inflationary increases for both schools and special education cooperatives. Two of the bills, House Bills 31 and 33, would have funded schools and cooperatives separately. House Bill 32 provided increases for both. Kelker said cooperatives generally serve rural communities, and struggle because they only receive funding from grants, rather than taxes, like schools that offer special education services. Kelker said that means schools hiring instructors to educate special needs students themselves, which could mean hiring one teacher for a very small number of students. House Bill 32 passed second reading on the House floor, but was tabled in the appropriations committee. Kelker also introduced House Bill 274 to allow students with disabilities to remain in school up to age 22. It was also tabled in committee. She said allowing students with special needs to remain in school would allow them to retain the skills they have learned, which would make them better suited to entering the workforce than if they graduated at age 18. During the bill’s committee hearing, several parents and individuals with disabilities testified on the potential benefits of the bill. Keith Gilyard, a man from Belgrade whose son has Down syndrome, said the bill would help his son get the education he needs. At the same hearing, Meredith Scully, the founder of Cottonwood Day School for special needs students in Bozeman, said her students are determined to learn, and could use the support the bill would have provided. “Every child can learn despite their challenges,” Scully said. Kelker said that while most of these bills are unlikely to pass this session, (She called herself the “queen of tabled bills.”) she has hope for the future, and will continue to try to get these ideas written into law. “I’ll be here in my old lady wheelchair,” Kelker said.